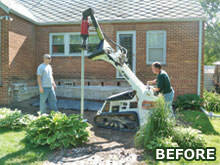 At Foundation Supportworks of Central Iowa, we're here to fix your foundation problem. 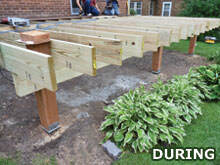 To get you started on the right foot, we'd like to provide you with a free foundation repair quote. We'll introduce you to one of our foundation specialists, who can answer any questions you have and explain how we can permanently restore value and structural stability to your home. We're proud to serve Des Moines, Ames, Waterloo, nearby localities such as Urbandale, Mason City and the surrounding areas. 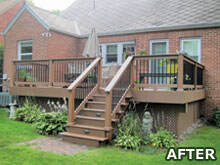 Contact Foundation Supportworks of Central Iowa today to schedule a free consultation for your next deck or small structure project. 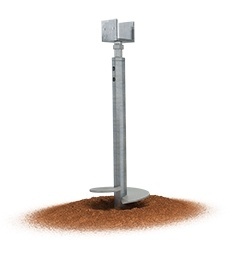 Find out how helical deck piers can streamline your construction process. 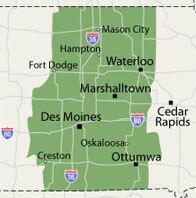 We're proud to serve Des Moines, Waterloo, Ames, nearby localities such as West Des Moines, Cedar Falls, Urbandale, Mason City, Ankeny, Marshalltown, Newton, and the surrounding areas.